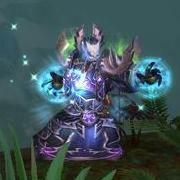 We have just released our dungeon guide for Scholomance, which has been revamped for Mists of Pandaria and now features a level 90 Heroic mode. We explain how to defeat the bosses, complete the quests, and obtain the achievements. We still have 2 dungeon guides to release: Scarlet Halls and Scarlet Monastery. Awesome,thanks for your hard work! !